Two essential novels from one of the most imaginative writers of our time: THE SEA, winner of the Man Booker prize, and THE BOOK OF EVIDENCE, an unforgettable literary mystery short-listed for the Booker prize. THE BOOK OF EVIDENCE is a brilliantly disturbing portrait of an improbable murderer. Freddie Montgomery is an aimless, eccentric, and highly cultured man whose arrest for the murder of a servant girl prompts him to offer the reader an extended testimony. However, the evidence Freddie offers is not of his innocence, but of his life -- of the circumstances that led to and (in his chillingly amoral mind) justified his grisly crime. Hauntingly reminiscent of Camus, Dostoevsky, and Nabokov, THE BOOK OF EVIDENCE is among the most darkly compelling novels in international literature. THE SEA follows retired art historian Max Morden to the seaside town where he spent his childhood summers. Max is grieving the loss of his wife, Anna, but returning to the seaside brings back intense memories of the wealthy and mysterious family in whose presence he had first learned about love and loss. 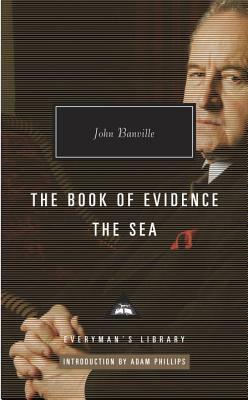 Banville's exploration of the unpredictable power of memory -- a force as treacherous as the sea that pulses through the story. What Max comes to understand about the past, and about its indelible effects on him -- is at the center of this elegiac, vividly dramatic, beautifully written novel.